The most versatile utility vehicles around! 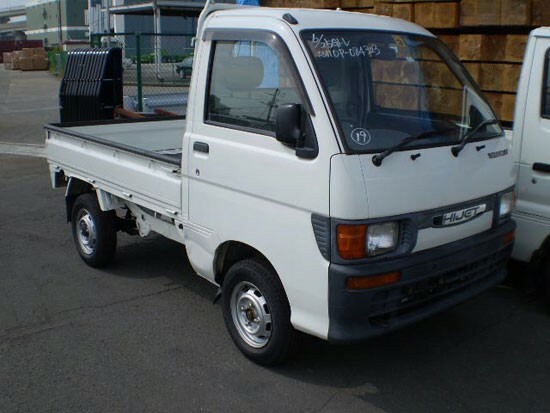 Daihatsu is the largest manufacture of Mini Trucks in Japan. Liquid cooled, 660cc, 3 cylinder engines with low miles, 4X4, 4 or 5 speed manual with high/low transfer case. 4'x6' box has fold down and removable sides and tailgate to make a flatbed. Radio, windshield wipers, seat belts, standard lights and full instrumentation. Cab, heat, 4x4 standard compare that with other utility vehicles! Optional AC, Dump box & power steering!